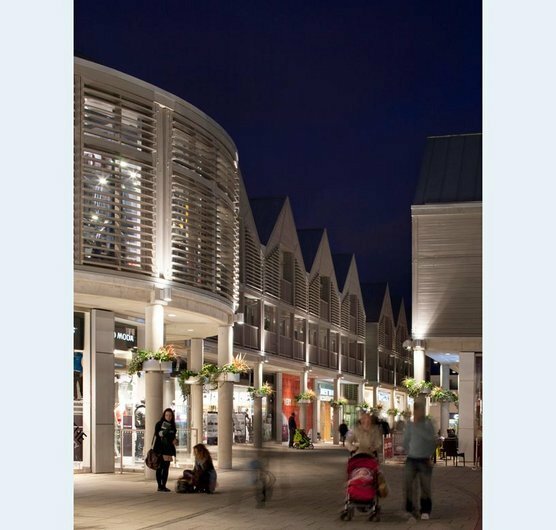 Our redevelopment of the former Cattle Market Site in Bury St Edmunds won the Gold Award at the prestigious British Council of Shopping Centres ceremony. Developed over three years in close consultation with the townspeople, the masterplan includes a mix of uses: above the retail units are apartments and, at the heart of the scheme, a new public building provides a civic focus. Construction started in early 2007, the centre has been trading successfully since March 2009 and the public building, now called the Apex, opened in October on completion of a separate fit-out Contract.